Agricultural groups express displeasure that courts, not agencies new draft, will draw out final outcome of water rule. President Barack Obama vetoed Senate Joint Resolution 22, disapproval of the Environmental Protection Agency's (EPA) waters of the U.S. (WOTUS) rule, which would nullify the rule and require EPA and the Army Corps of Engineers to clarify the jurisdictional boundaries of the Clean Water Act. 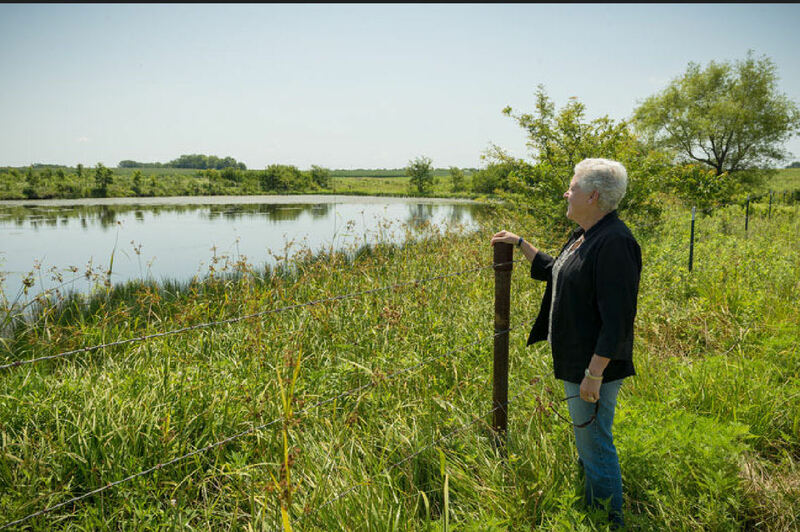 EPA administrator Gina McCarthy stands next to a farm pond last summer. Her agency has come under fire for the authority the agency has taken in private land owners' water rights. The Senate voted 53-44 on Nov. 4, 2015, and the House voted 253-166 on Jan. 6, 2016, in support of the resolution. NCBA and the Public Lands Council filed a lawsuit in the Southern District Court in Texas on July 2, 2015. That litigation will continue. While the Sixth Circuit Court of Appeals considers jurisdiction, a temporary nationwide stay on implementation of the WOTUS rule remains in effect. National Corn Growers Assn. president Chip Bowling expressed disappointment in the veto, especially in light of the recent Government Accountability Office report stating that EPA engaged in “covert propaganda” in an effort to sell the American public on the water rule. “This resolution would have given us the opportunity to work together on a better rule we can all support. Instead, the future of WOTUS remains in the hands of the courts — which may takes months, if not years, and comes at a considerable cost,” Bowling said.